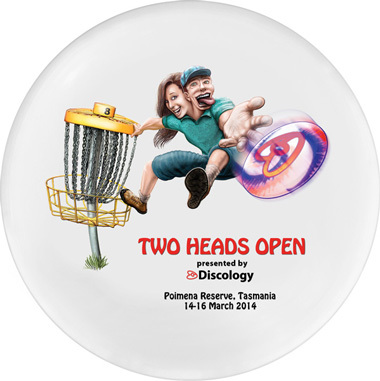 All players (except those playing one round only) who register and pay before February 16th will receive a Two Heads 2014 souvenir golf disc – the disc will be a Latitide 64 Fuse Gold Line. Players are required to register for the tournament. Knowing who’s coming really helps plan the best tournament for the players. It is also necessary for insurance, catering and other fun stuff. The process is relatively straight forward and can be done completely online. Step 1 – Complete the online pre-registration form (this form is lower down the page). Step 2 – Select your tournament entry package and pay your entry fee. This can be done via the Discology online shop. All players who register and pay in advance automatically qualify for a free prize draw to win a disc of your choice from Discology. For latecomers, registrations and cash payments will be accepted on the Saturday and Sunday morning of the tournament, so long as there are places available. When completing the pre-registration form players are asked to choose a player division suited to their experience and level of play. If you are in any doubt, opt for the Recreational Division or email the tournament. Advice on rules of play will be available at the event from staff and senior players. Players are required to read the code of conduct before participating. If you have any questions, please contact the Tournament Director, Garth Gray. If you planning to play, please complete the form below as soon as possible. As soon as you do your name will be listed on the ‘Registered players list‘ on the website. Other players love to see who else is competing and it really helps promote the event. Completing this pre-registration form indicates your intention to take part in the event. If you change your mind and decide not to take part in the event you will not be expected to pay the tournament entry fee. This pre-registration process is also necessary for ensuring players are insured for the duration of the event. 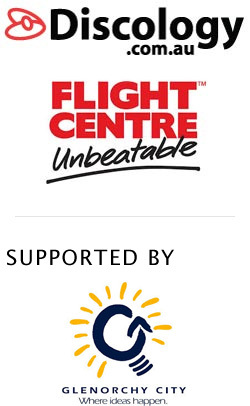 Insurance is provided by Australian Disc Golf inc. and the Australian Flying Disc Association. So don’t hold back, sign up and get your name on the list! After you have completed the pre-registration form, you can pay your entry fee via the Discology online shop.